I tend to frequent the biergartens that I live closest to namely, the Muffathalle biergarten and the Augustiner Keller at Wienerplatz. Although I know we live in the biergarten epicenter of the world, sometimes I draw a blank on which one to go to when I want to break out of my routine. Well never again! 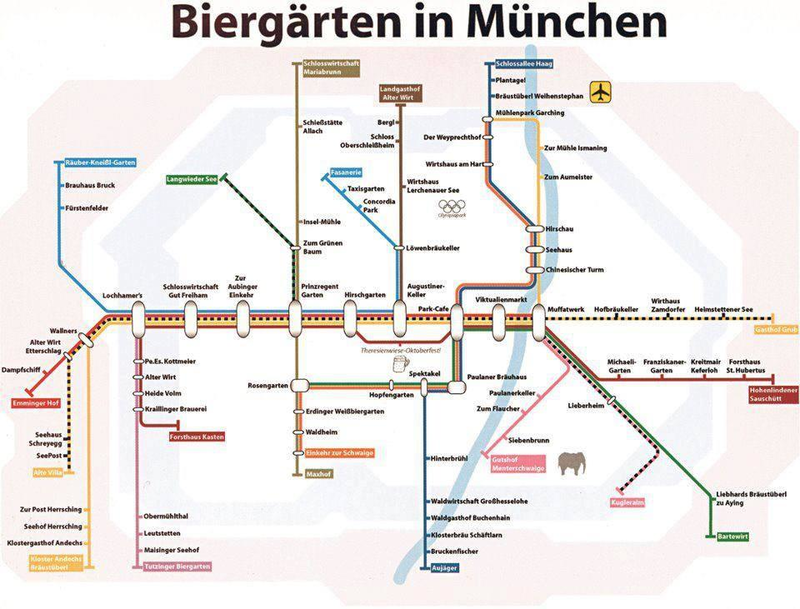 My husband forwarded me this funny redeux of the Munich U-Bahn/S-Bahn map with the nearest biergarten instead of the stop. A helpful ‘at a glance’ biergarten guide. Prost! Love it, and shared through my twitter!